The blazing sun pierces your skin like a dagger. Your cracked lips hurt as you take a sip of water from your canteen. The open desert lies before you. Will you find the ruins of the long lost city? The Desert has been an inspiration for adventure stories for a long time. Who doesn’t love the romantic story of Jasmine and Aladdin, the gunslinging Rick O’Connell from the mummy, the stories of Scheherazade, or the blue eyed Fremen from Dune. 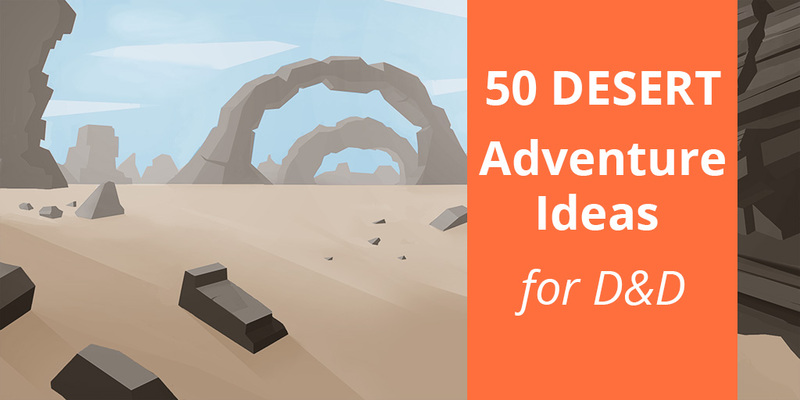 At the moment of writing this article, there has not yet been a desert themed release for D&D 5e. However, that doesn’t mean that you can’t write your own adventure. Some spells such as ‘create water’ would really impact a desert themed campaign. I suggest either forbidding such spells, or limiting their effectiveness. For example, change a ‘create food and water’ spell from 30 gallons to 3 gallons, and a ‘create or destroy water’ spell from 10 gallons to 1 gallon. During a clear and cold night, many people witnessed a star falling from the sky and landing in the nearby desert. Earthquakes have been torturing the grand city. Parts of the city are slowly sinking in to the sand. Nearby tombs have been looted by Grave Robbers. Family members of the deceased are asking for help to stop them. The king has discovered a love letter from his wife to one of the servants. In anger, he has sentenced her and her ‘lover’ to death. The ‘lover’ is a friend of the adventurers, and he claims that he has been set up. Dust devils appear on the town square and children are dancing with them. However when an adult appears, the dust devils disappear. After these events, the children are having prophetic dreams. A Efreeti rules a desert oasis. The locals are allowed to use the oasis in exchange for a new child slave each month. The water in the wells have turned blood red. A group of archaeologists have opened an ancient tomb. The days following the opening of the tomb, the archaeologists are dying under mysterious circumstances. One archaeologist hires the adventurers to protect him from death. The people of the mountain have been peaceful towards the caravan traders for a long time. Recently however, they have blocked the mountain pass. Now the traders have to travel through new and dangerous parts of the wastelands to find a new route to the east. The adventurers get their hands on a magical lamp. The inscription on the lamp says “Rub the lamp and you will be wealthy for the rest of your life.“. The lamp is cursed. Each time the lamp is rubbed, the lamp spews 10 gold pieces. But the person rubbing, ages by a year. The desert turns icy cold at night, and strange creatures seek the warmth of the adventurers campfire. The adventurers find a great treasure. Not realizing this was the loot of a band of thieves. The thieves are planning to get their gold back, no matter the costs. Stories are told of a part of the desert where geysers spew fire from the ground. A large shadow passes the adventurers. A dire vulture has chosen them for its next meal. A mummy lord has wants to resurrect his wife. He plans to do so by performing a terrible ritual on one of her descendants. A camel racer champion has been winning all races for over three years. One of the other racers hires the party to find out the reigning champions secrets. The well in the village has dried up. Strange sounds can be heard coming from the within. The adventurers are hired to protect a caravan on their journey through the desert. The three sons of a nobleman are in love with the same woman. The three brothers were once very close, but now they threaten to murder each other. A black obelisk stands in the desert. The strange thing is that the locals have never seen it before. A dark cloud looms on the horizon. People rejoice with the idea of rain. However when the cloud draws closer, it becomes clear that it is raining drops of fire. A caravan with many trade goods was supposed to arrive last night. But they never made it. 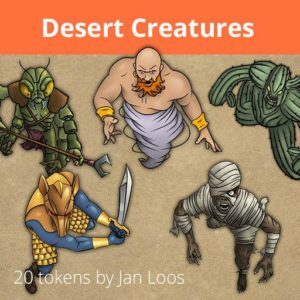 You can support me by checking out my Desert Creatures pack on Roll20. Veins of black sand cover the desert in this area. This was once a field of great battle. Now the lands are haunted by the undead. .Sand has filled the crevices between the rocks. When someone walks on top of the sand, the unstable rocks underneath will cause them to fall in to a cave. While traveling the desert at night, wailing cries can be heard. However nobody is around. A evil king has his servants tell stories at before bedtime. When a story bores him, he has the servant executed and replaced. Legend tells of a pyramid that only appears in the light of a full moon. It holds legendary treasures. However, anyone that enters and fails to leave before sunrise is stuck in the pyramid forever. A dark cloud is drawing near. When it comes closer, you realize that it isn’t a sandstorm, but a giant swarm of locust. The water of an oasis has turned murky green and an animal corpse lies near. A rare golden scorpion has been spotted in the desert nearby. A nobleman wants the creature in his zoo and has promised a great reward for the ones that can deliver it to him. There is one problem, the scorpion is 6 feet tall. A decayed wooden ship lies in the middle of the desert. How did it get there? A man in ragged clothes, with scorched and sunburned skin walks in to town. He explains he was attacked by raiders. A sandstorm is drawing near. The only place the adventurers can find shelter is an old ruined building However they are not the only ones taking shelter there. The vizier has a large and beautiful garden. But lately, the plants have come to life. A group of gladiators have broken free. They are attacking towns and freeing slaves to join their army. The adventurers are invited for dinner at a nobleman’s house. During a music and belly dancer act, the nobleman stands up and starts coughing blood. He has been poisoned. The adventurers have been travelling through a salt flat. An area of the flat has a thin crust, with a quagmire of mud underneath. There is a chance of breaking the crust and getting stuck in the mud. Black smoke rises from the desert. When the adventurers come closer, they see that the wagons are burning and the caravans guards are lying slaughtered, face down in the sand. A mirage on the horizon shows blurry shapes that resemble a great city. The further the adventurers travel in that direction, the more they wander in to the cursed wastelands. An ancient Djinni king has cursed the lands. When the word water has been said five times an angry water elemental appears. One of the sultans wives has been kidnapped. The adventurers are hired to rescue her. The bones of a dragon lie in the desert. Recently a tribe of scorpion folk has started to use it as their place of worship. Yuan-Ti have been spotted digging out an abandoned Temple. What are they searching for? 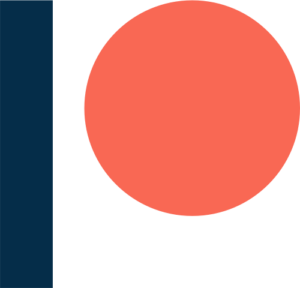 Thanks for checking out this article. If you found this article helpful, give me a like on Facebook and check me out on YouTube.